Played in the BlackSeaRama ProAm in Bulgaria on the Black Sea from July 15th-19th. I over cut my drive here on this intimidating looking tee shot, but fortunately I was safe in the right bunker. 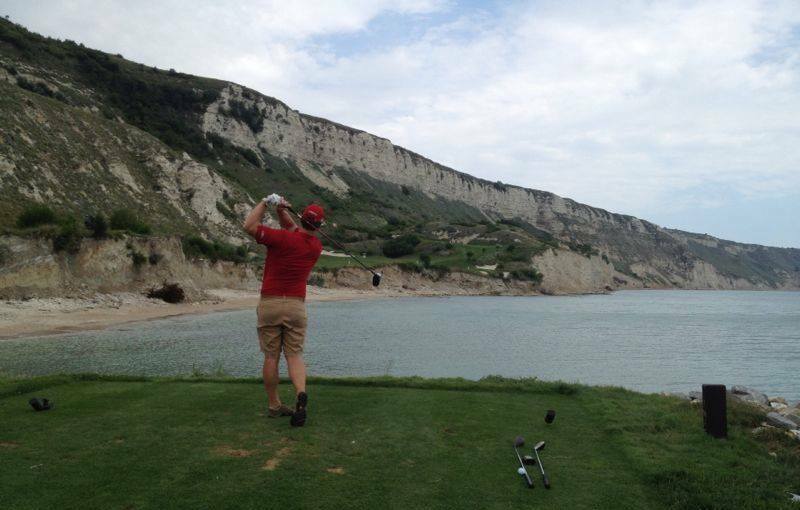 Thracian Cliffs is an amazing and very challenging golf course right on the Black Sea.